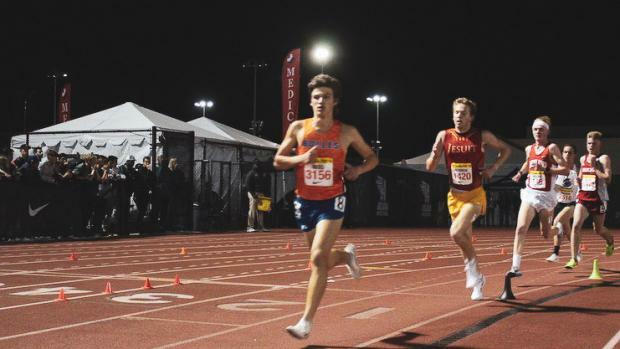 Bolles senior and Stanford signee, Charles Hicks ran an outstanding 8:49.62 3200m at Arcadia this weekend to break Brett Hoffman's 42 year old 8:50.0 all-time 3200m Florida state record. Hicks will need to go sub 8:59.03 at the state meet to gain the FHSAA record from 2001. Hicks finished fourth overall against a few of the nation's best distance athletes and ran nearly a huge 10 second PR. Hick's new state record is now a top-five national 3200m time and he leads the Florida field by 20 seconds. Chase Rivera had a fantastic win this weekend in the Invitational Mile, winning the race in 4:11.24 -- a very strong progression for the senior who finished third in the FSU Relays 1600m in a time of 4:17. On the girls side, Tsion Yared, Rebecca Clark, and Emily Faulhaber all had very strong 3200m races in the Invite on Saturday night. Pine Crest duo, Yared and Faulhaber finished off the night with two new PR's of 10:24.23 and 10:39.60 to continue their very strong junior seasons as we lead up to the state series. Villages senior and FSU signee, Rebecca Clark finished 12 overall in a time of 10:27 -- her first 3200m after her breakout 10:18 performance at FSU Relays a few weeks back. In the 3200m Rated race, Aidan O'Gorman was your top Florida finisher in a time of 9:17 -- a huge PR for the senior and UNF signee. FSU signee and Mount Dora Christian senior, Gabriel Curtis followed close behind in a time of 9:25.13 with Chiles senior, Connor Phillips, finishing it up for Florida in a time of 9:32.01.